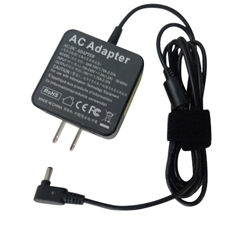 Description: New high quality aftermarket Asus laptop ac adapter charger 33 watts. This adapter is only compatible with the models listed below. It will not work with UX21E, UX31E or UX51VZ model laptops. Compatible Part #'s AD890326, AD890528, 0A001-00330100, 0A001-00340200, ADP-33AW A.